I love this book! It’s interesting and accessible. This is one of those books that would work with both adults and youth. 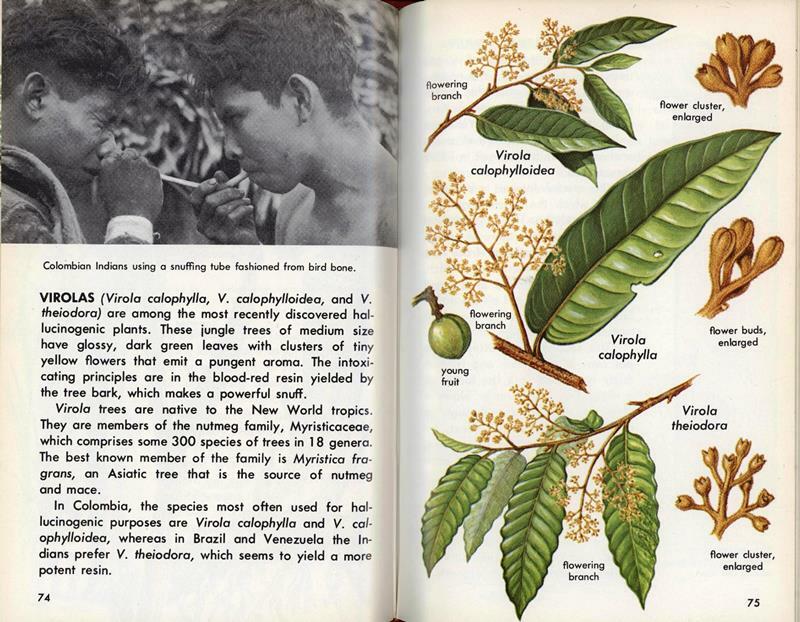 A few google searches told me that Shultes is considered the father of ethnobotany. 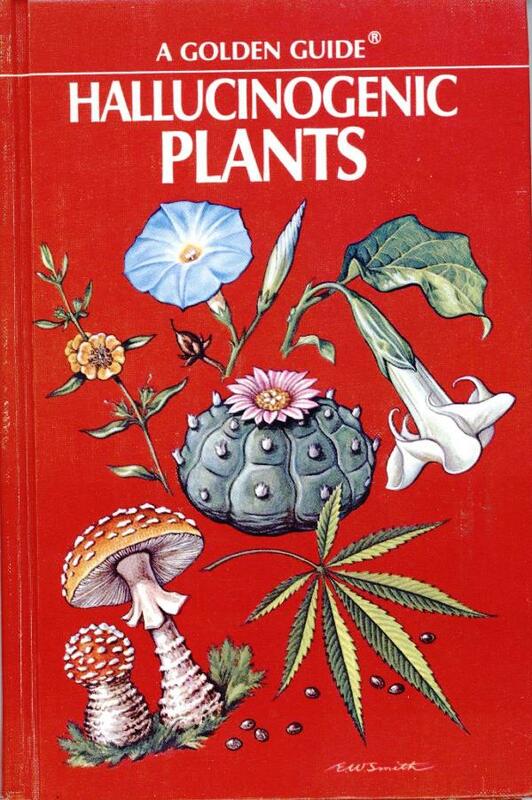 His most well known book is Plants of the Gods: Their Sacred, Healing, and Hallucinogenic Powers co authored with Albert Hofmann, also known the father of LSD. Whenever one of these interesting books shows up,I feel obligated to reiterate that the “awful” moniker is relative and hardly a judgement of the book’s content. Naturally, this book is important and for most libraries this is a keeper. Smaller libraries and or libraries with a limited scope, might want to consider this a weeding candidate. Looks like an interesting subject, I would check this out. On a side note, my last name is the same as the author. I don’t know about weeding but in my school this would have been banned for being open-minded on drugs and because of the naked dude. The one leaning against the cactus? 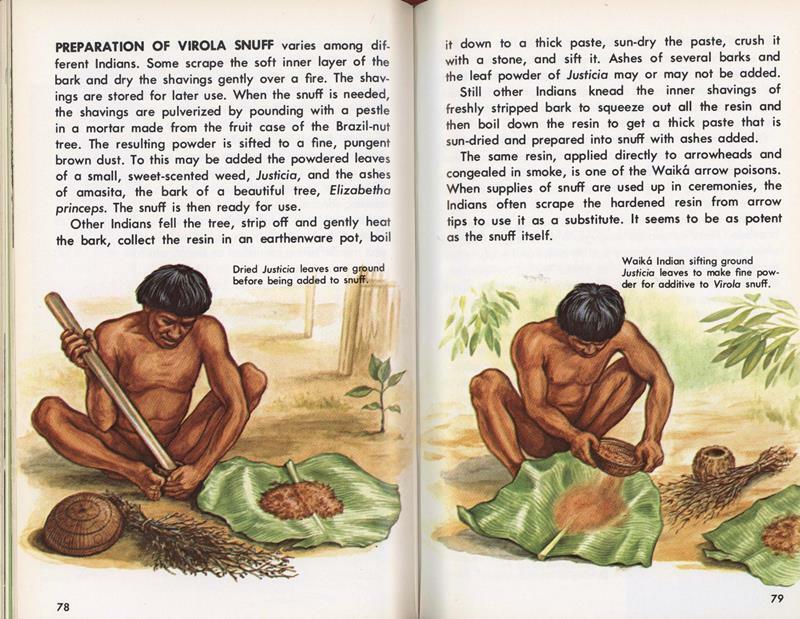 Whenever I read about the elaborate preparations various peoples use — or even about things like how northern indigenous people made maple syrup — I can’t help wondering how the properties of the various barks, saps, etc; were discovered and how their preparation developed over time. This is fascinating stuff. 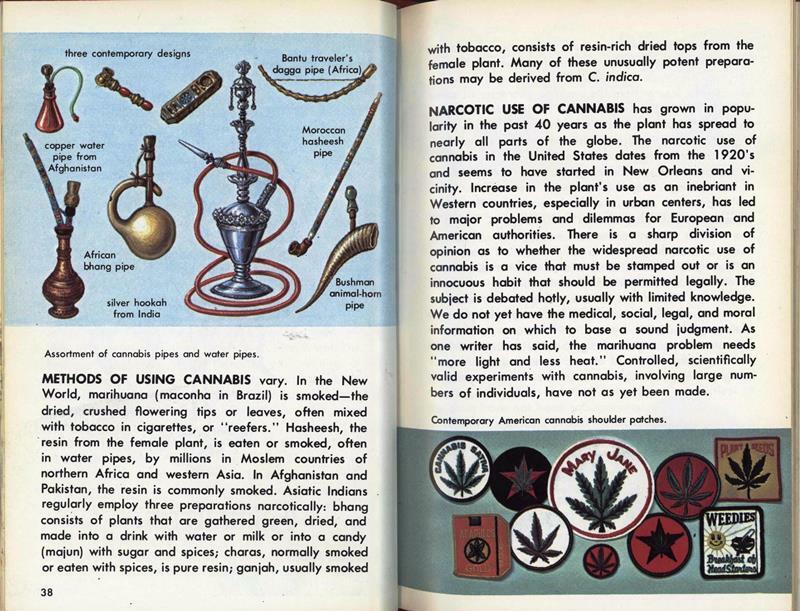 Though I wish the illustrations were less Early National Geographic. This book is AMAZING! I went to look for a used copy, but it’s selling from $150-$500 everywhere. Darn it. This is a keeper. Look at those detailed illustrations. I like how they show the most important details of a plant in a general way. 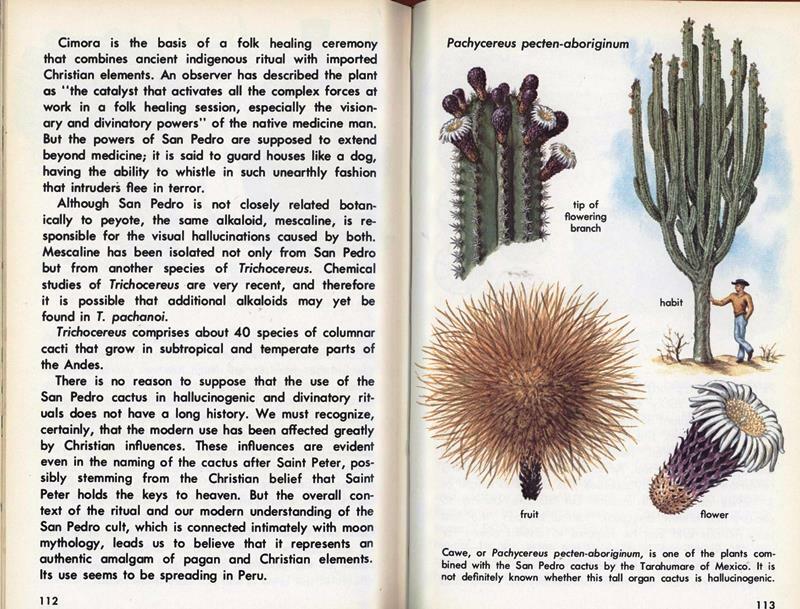 My friend studied biology, and learning how to draw plants was an important part of the botanic classes. My mom got me all the Herbert Zim Golden Guides: Trees, Birds, Weather, Insects, Stars…but NOT THIS ONE!!! I have this one. I bought it for 2 dollars at a used book store. I was surprised that it’s getting so much more online these days. I’d better take good care of my copy.